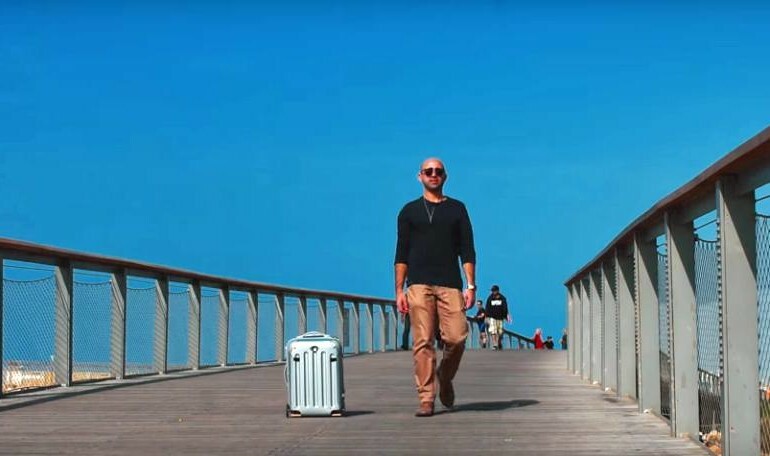 A suitcase that follows its owner around like a puppy could be hitting the market after an Israeli robotics company created a prototype. Honestly, what could be better than having your baggage take care of itself. Controlled via a smartphone app, a camera sensor and Bluetooth technology work in tandem to locate the owner and trail by their side. The suitcase only works on flat surfaces so it would come in handy in environments such as an airport or hotel lobby. Though in the early testing phases, NUA Robotics says it hopes to bring its smart suitcase to the market in about a year, reports Mashable. Proximity detection is meant to help the suitcase avoid obstacles, while USB ports can power portable devices like smartphones and tablets. Other features include an anti-theft alarm, location tracking, and built-in scale that can tell users if they’ve packed over the weight limit. Data is sent in real-time to smartphones. The concept of a hands-free suitcase is the latest expansion on luggage tracking technology, which has seen the popularity of devices like the Trakdot, a small device placed inside the checked baggage which sends owners SMS messages or email alerts on its whereabouts when the plane touches down. The Bluesmart is also designed as a smart carry-on suitcase with built-in GPS location tracking, scale, automatic digital lock and distance alerts if forgetful owners end up leaving them behind.